Here is a list of 15 stocks that are likely to remain in focus on Wednesday in response to various news triggers: DLF: Promoters of DLF, India's largest realty developer, are actively considering a split of the proposed 40% stake sale in the company's rental commercial property arm between two contenders -US private equity major Blackstone Group and Singapore's sovereign wealth fund GIC -said three persons familiar with the development. Essar Shipping: The company has reported widening of its standalone loss to Rs 61.95 crore for the quarter ended September 30, 2016. It had posted standalone loss after tax of Rs 40.79 crore in the corresponding quarter of previous fiscal. Coal India: State-owned Coal India on Tuesday reported a massive 77 per cent fall in its consolidated net profit at Rs 600 crore for the quarter ended September, hit by drop in sales and higher expenses. The PSU major had posted a consolidated net profit after tax, minority interest and share of profit of associates of Rs 2,654 crore in the July-September period of the previous fiscal. Omaxe: Realty firm Omaxe on Tuesday reported a 92 per cent increase in consolidated net profit at Rs 23.69 crore for the second quarter of this fiscal. Its net profit stood at Rs 12.32 crore in the year-ago period. Den Networks: Cable television services firm Den Networks reported a consolidated net loss of Rs 47.87 crore for the quarter ended September. The company had posted a consolidated net loss of Rs 97.76 crore in the July-September period of the last fiscal. Amtek Auto: The company reported a standalone net loss of Rs 755.18 crore for the quarter ended on September 30, 2016, due to fall in income. It had posted a net loss of Rs 158.62 crore for the quarter ended September 30, 2015. KRBL Ltd: KRBL on Tuesday informed bourses that it has set up a Furfuryl alcohol plant in Punjab at a total cost of Rs 7 crore. The company, through this plant, intends to further convert the Furfuryl oil into refined Furfuryl alcohol, as there is huge demand for Furfuyl alcohol in India. The commercial production of this plant is expected to start shortly. Jindal Steel & Power (JSPL): The company on Tuesday informed bourses that Jindal Power Limited, a subsidiary of JSPL, has successfully obtained Commercial date of Operation (COD) in respect of 4th and last unit of 4*600 MW Power Plant at Tamnar wef December 12, 2016. Wockhardt: Executive Director of Wockhardt LtdBSE 3.17 % Huzaifa Khorakiwala has launched a healthcare angel fund that is targeting to raise Rs 125 crore to be invested in start-ups. HCC: Hindustan Construction CompanyBSE 8.19 % (HCC) will next month seek shareholders' nod for conversion of loan into equity shares or optionally convertible debentures pursuant to implementation of the RBI's scheme for sustainable structuring of stressed assets. Bajaj Electricals: Lighting products and consumer durables maker Bajaj Electricals has partnered UK-based firm Gooee to create innovative lighting products and solutions on IoT (Internet of things) platform. Results Today: Educomp Solutions, Gammon InfrastructureBSE 0.76 %, National AluminiumBSE 2.38 % and UnitechBSE -0.42 % will announce their financial results for the quarter ended September 30, 2016 on Wednesday. Great article thanks for sharing this kind of information. In India a stock market is the best way to make money easily and we are the Top advisory in indore providing best stock market tips in Indore and not in indore all over India and proper customer services. We are providing many fresh and secure services like commodity tips, Equity tips, stock market tips, w-max (positional),MCX tips, Future tips, Option tips, M2M tips etc. 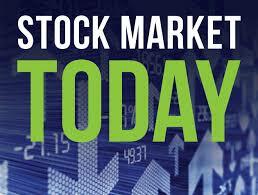 You are invest with us everyday we are providing Intraday Calls.